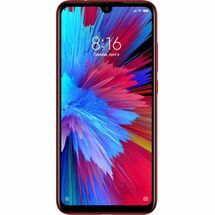 Say hello to Redmi Note 6 Pro At The Phone Store NearBy - Xiaomi's first smartphone that boasts an AI-powered quad-camera. Now enjoy a smart camera experience with the AI Scene Detection feature. It helps your camera understand what it is looking at and enhances the picture automatically. Take beautiful, sharp images, thanks to the Dual Pixel Autofocus technology. Its 1.4 micrometer pixel size and wider f/1.9 aperture offer you an enhanced low-light photography experience. 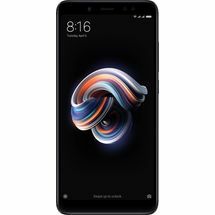 Powered by a Qualcomm Snapdragon 636 octa-core processor and a 4000 mAh high-capacity battery, this smartphone delivers a seamless performance and up to two days of battery life. 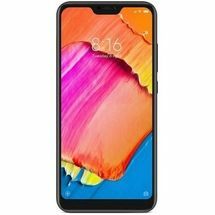 Best Store To Buy Redmi Note 6 Pro In Bangalore - Redmi Showroom Near Me - Redmi Store NearBy - Shop For Redmi SmartPhones in Bangalore. 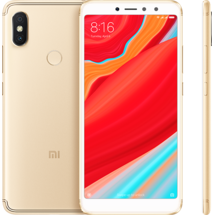 Say hello to Redmi Note 6 Pro At The Phone Store NearBy - Xiaomi's first smartphone that boasts an AI-powered quad-camera. Now enjoy a smart camera experience with the AI Scene Detection feature. It helps your camera understand what it is looking at and enhances the picture automatically. Take beautiful, sharp images, thanks to the Dual Pixel Autofocus technology. Its 1.4 micrometer pixel size and wider f/1.9 aperture offer you an enhanced low-light photography experience. 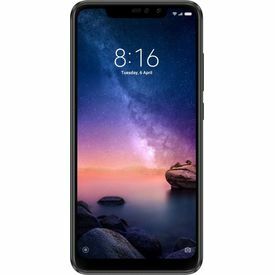 Powered by a Qualcomm Snapdragon 636 octa-core processor and a 4000 mAh high-capacity battery, this smartphone delivers a seamless performance and up to two days of battery life. 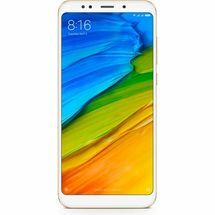 Product Description A 20 MP + 2 MP dual front camera, a long-lasting battery and 15.9 cm (6.26-inch) screen - there is so much to love about the Redmi Note 6 Pro. With a truckload of impressive features like the quad camera system, AI scene detection and 19:9 FHD+ Full Screen Display, this phone is designed to impress. 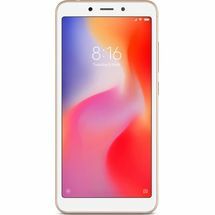 Dual Front Camera Equipped with 20 MP primary sensor, 2 MP depth sensor, 4-in-1 super pixel technology and AI scene detection, this phone will make your selfies look just perfect. Dual Rear Camera Don’t miss out on capturing your precious moments due to low-light conditions. 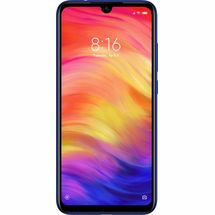 This phone with its 12 MP primary sensor, 5 MP depth sensor, enhanced low-light photography feature, AI scene detection and AI studio lighting, will let you click clearer and sharper pictures even in dim-light conditions. It also features the Electronic Image Stabilisation feature that makes your videos look more steady and blur-free. 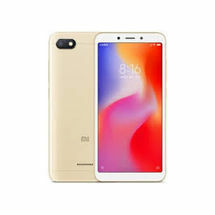 Specifications General In The Box Handset, Power Adapter, USB Data Cable, Ultra Thin Case, Warranty Card, Getting Started Guide, SIM Ejector Pin Model Number MZB6876IN Model Name Redmi Note 6 Pro Color Black Browse Type Smartphones SIM Type Dual Sim Hybrid Sim Slot Yes Touchscreen Yes OTG Compatible Yes Quick Charging Yes Sound Enhancements Speaker - Single (Bottom Opening), 2 x Microphones (Noise Cancellation) Display Features Display Size 15.9 cm (6.26 inch) Resolution 2280 x 1080 pixels Resolution Type FHD+ GPU Adreno 509 Display Type IPS (In-cell) Other Display Features Notch Display, Corning Gorilla Glass Os & Processor Features Operating System Android Oreo 8.1 Processor Type Qualcomm Snapdragon 636 Processor Core Octa Core Primary Clock Speed 1.8 GHz Operating Frequency GSM - B2, B3, B5, B8, WCDMA - B1, B2, B5, B8, 4G LTE TDD - B40, B41, FDD - B1, B3, B5 Memory & Storage Features Internal Storage 64 GB RAM 4 GB Expandable Storage 256 GB Supported Memory Card Type microSD Memory Card Slot Type Hybrid Slot Camera Features Primary Camera Available Yes Primary Camera 12MP + 5MP Primary Camera Features 12MP - f/1.9, 1.4micrometer, Dual PD, 5MP - f/1.9 Aperture, Dual Pixel Auto Focus Secondary Camera Available Yes Secondary Camera 20MP + 2MP Secondary Camera Features f2.0 Flash Rear Flash Dual Camera Lens Primary & Secondary Camera Connectivity Features Network Type 4G VOLTE, 4G, 3G, 2G Supported Networks 4G VoLTE, 4G LTE, UMTS, WCDMA, GSM Internet Connectivity 4G, 3G, Wi-Fi 3G Yes Micro USB Port Yes Bluetooth Support Yes Bluetooth Version 5.0 Wi-Fi Yes Wi-Fi Version 802.11a/b/g/n/ac Infrared Yes USB Connectivity Yes Audio Jack 3.5mm Map Support Google Maps GPS Support Yes Other Details Smartphone Yes SIM Size Dual Nano SIM Graphics PPI 403 PPI Sensors Rear Fingerprint Scanner, Ambient Light Sensor, Proximity Sensor, E-compass, Accelerometer, Gyroscope Other Features Body - Metal Back, IR Blaster, Charger - 5V/2A, Quick Charge 3.0 Battery & Power Features Battery Capacity 4000 mAh Dimensions Width 76.4 mm Height 157.9 mm Depth 8.26 mm Weight 181 g Warranty Warranty Summary Brand Warranty of 1 Year Available for Mobile and 6 Months for Accessories Best Store To Buy Redmi Note 6 Pro In Bangalore - Redmi Showroom Near Me - Redmi Store NearBy - Shop For Redmi SmartPhones in Bangalore.